This is a big auction month for the Susie Forest. I donated trees for the auctions of three great local organizations. Last Saturday after spending 3 1/2 hours selling the Bicycle Alliance at the Spokane Bike Swap I headed for The Lands Council auction downtown at the Doubletree Hotel. I got to stand by the display for the Susie Tree and try to sell it. I had a fun evening talking to lots of people. Two placed bids and several promised to come back toward closing time. Nobody did and The Lands Council didn’t get as much money as I would have liked, but the winner was a member of City Council and maybe we can get some good attention from the planting. Now I’m working on the display for the Library Foundation auction Saturday night. They close the library, bring in a band and food and lots of fun people. All the “SHHH! !” signs are turned to the wall and everybody lets loose. I won’t be there selling so I hope someone lets loose a lot of money for a planting. 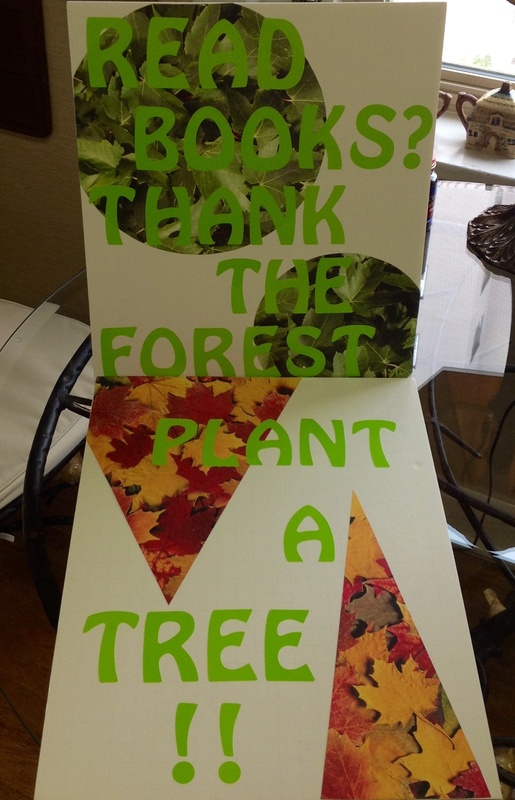 I’m pushing the planting as a way to thank the forest for all the books you’ve read. On Monday I’ll pick up the display at the library and rework it for the Spokane Preservation Advocates auction on the 27th. 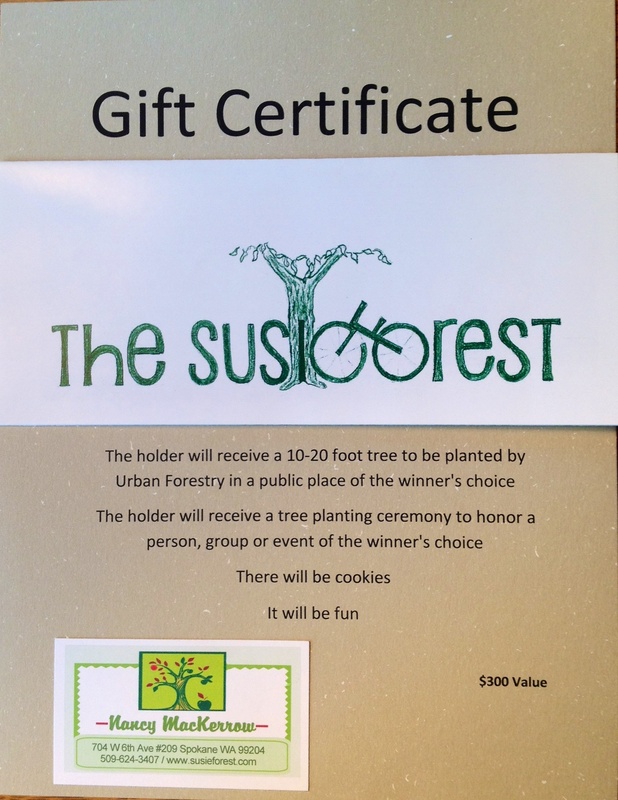 This group loves the big, beautiful, old street trees and were backers of the new Heritage Tree ordinance which honors significant city trees, so I’m advertising this auction item as a way to plant a Heritage Tree of the future. So if you’re going to one of these auctions look for my display and bid a lot for the tree. I’ll bring cookies to the planting and we’ll have a great time.